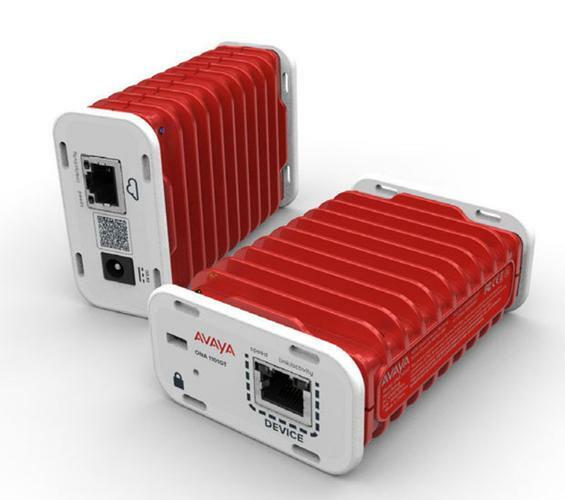 Avaya today released the 1.0 version of its Open Networking Adapter (ONA), a device the size of a deck of cards that plugs into any Ethernet-enabled machine and automatically connects it to a broader network while enforcing strict security policies on network traffic. Avaya’s ONA is a network edge device meant to usher in an era of connected devices to create an internet of things environment. The first use case Avaya is targeting with ONA is the health care industry with a custom software GUI for controlling the ONAs. +MORE AT NETWORK WORLD: Top 5 Storage vendors shows a massive shift to the cloud | Why Brexit could cause major data privacy headaches for US companies + ONA is a small proxy device with two Ethernet inputs on each end. The aluminum casing holds a dual core CPU running Open vSwitch. It’s equipped with two-factor authentication so that when the device is on boarded for the first time there’s a key that’s shared between the ONA and a software defined networking (SDN) controller to verify it. The device doesn't store any data, so if it were stolen, it would be a brick without the 2FA connection. “It gets its brains from the SDN,” said Carl Keene, director of engineering for Avaya’s SDN R&D. At Avaya’s offices outside of Boston this week Keene and other engineers in Avaya’s R&D lab demonstrated the ONA’s capabilities. The test lab includes almost 600 ONA devices, all controlled by a single Open Daylight implementation. When the ONAs are unpackaged from their box, a QR code on the side of the device is scanned, which records its serial number in the software Avaya has built to manage ONA deployments. The GUI shows that the ONA has been inventoried into the system and the SDN controller automatically does the 2FA check. At this stage an IT administrator can specify routing policies for the ONA. For example, the ONA could be programmed to only send a certain type of data to a certain end point: An imaging machine could send scans directly to a database, for example; all other traffic would be disabled. After the ONA has been setup, when it is connected to an Ethernet cable, Avaya’s Fabric Connect platform automatically recognizes the device and allows it to route encrypted traffic along the pre-determined path. Future implementations of the ONA will not require Avaya’s Fabric Controller. Avaya targeted the healthcare industry first because of the number of devices hospitals have and the need for secure connectivity in this highly regulated industry. Hospitals can have anywhere from dozens to tens of thousands of medical devices: Imaging equipment, scanners, monitors, sensors, alarms, for example. Connecting those devices to a network allows for monitoring, inventory control, data analytics and remote reporting, says Gordon Adamyk, director of research and business development at Avaya. He said there are an average of 12 devices per bed in hospitals across the country; a Veterans Affairs hospital has up to 10,000 devices. Complicating efforts is the fact that these devices can move from room to room on wheels, which makes them hard to keep track of. Avaya’s ONA allows for easy on-boarding of a device into a network, and then strict network policies enforced across the environment no matter where it sits on the network. Avaya will sell the ONAs through partners, who are expected to customize the ONA software to additional vertical industries. A manufacturing plant with devices on a shop floor, or a warehouse full of roaming robots could all be use cases for an ONA implementation. Last year when the ONA was first announced, Avaya said they would be priced at $545. Pricing for Fabric Orchestrator starts at $70,000. New research from 451 this week shows that 65% of organizations currently collect data from equipment, devices or other connected endpoints and use that data for a business purpose, showing that IoT implementations are already in the market. Of those without an IoT implementation, 46% said security is the biggest impediment to adopting IoT though. Avaya is hoping its ONA technology will help organizations not only quickly onboard new devices, but securely control their traffic policies too.